Mitochondrial membrane permeabilization (MMP) is considered as the “point-of-no-return” in numerous models of programmed cell death. Indeed, mitochondria determine the intrinsic pathway of apoptosis, and play a major role in the extrinsic route as well. MMP affects the inner and outer mitochondrial membranes (IM and OM, respectively) to a variable degree. OM permeabilization culminates in the release of proteins that normally are confined in the mitochondrial intermembrane space (IMS), including caspase activators (e.g. cytochrome c) and caspase-independent death effectors (e.g. apoptosis-inducing factor). Partial IM permeabilization disrupts mitochondrial ion and volume homeostasis and dissipates the mitochondrial transmembrane potential (ΔΨm). 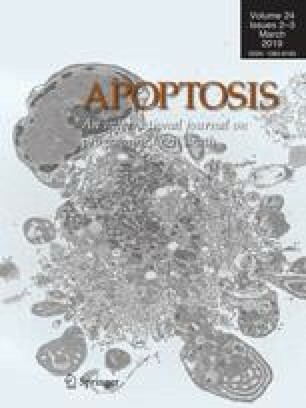 The assessment of early mitochondrial alterations allows for the identification of cells that are committed to die but have not displayed yet the apoptotic phenotype. Several techniques to measure MMP by cytofluorometry and fluorescence microscopy have been developed. Here, we summarize the currently available methods for the detection of MMP, and provide a comparative analysis of these techniques.